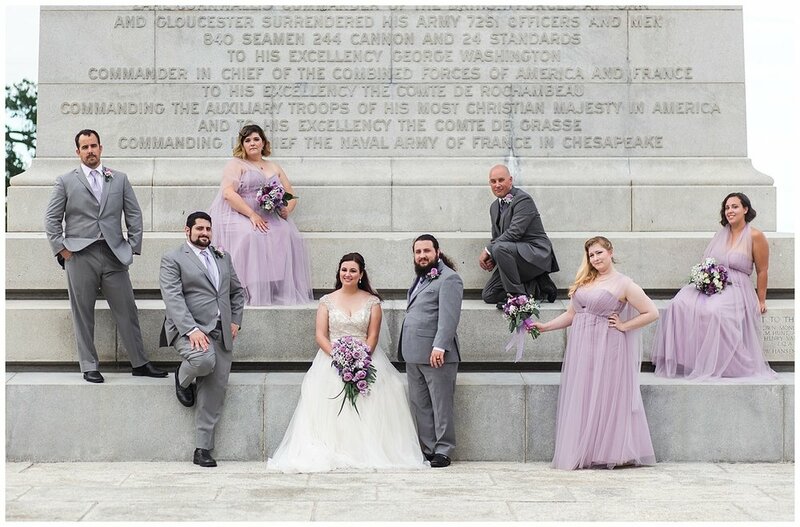 Sarah and Patrick share a love of the color purple, and there were touches of all shades of the color through every element of their beautiful day, right down to the couple’s wedding bands themselves. 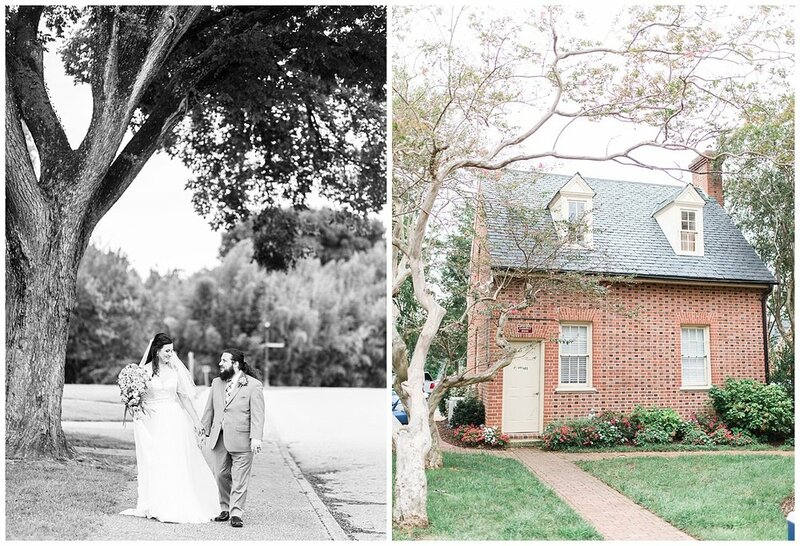 Their ceremony and reception were held at the beautiful Hornsby House Inn on Main Street in Yorktown, VA. 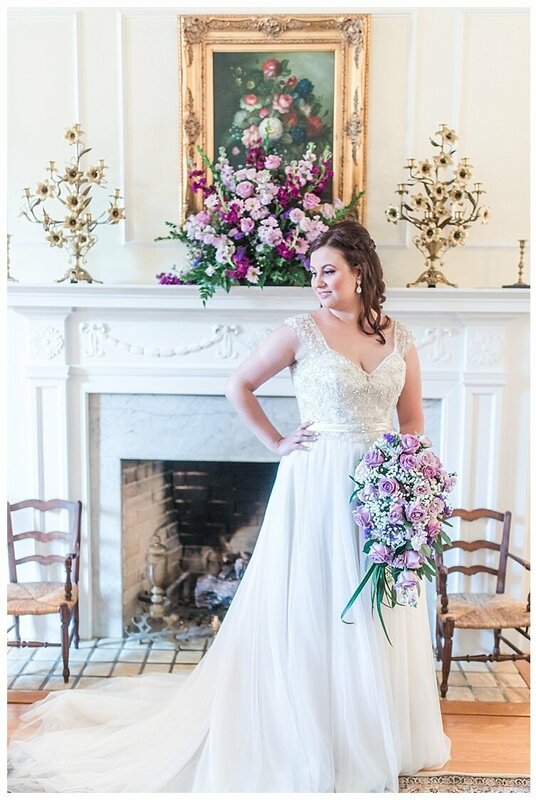 The gorgeous venue is elegant yet comfortable and was the perfect setting for Sarah and Patrick’s intimate wedding. The couple shared a First Look and their details included a sweet charm attached to Sarah’s bouquet with a photo of her grandparents. The groom and his groomsmen each wore unique dice lapel pin as a nod to weekends the couple shared playing games with their friends. Their ceremony combined both Christian and Jewish traditions including a "blessing of the hands" where they wrapped their hands using Patrick's tallit that he received at his Bar Mitzvah. During the reception, the inn proprietor, David, invited them to share in a German tradition that had been enjoyed by generations of his family at Hornsby House, the sharing of drink from a Nuernberg Bridal Cup. As you look at the pictures, you’d never know that everyone was thinking this wedding would have to be postponed or moved due to a terrible weather forecast. Hurricane Florence was projected to make landfall with dangerous high winds and flooding. But thankfully, the hurricane path shifted north. 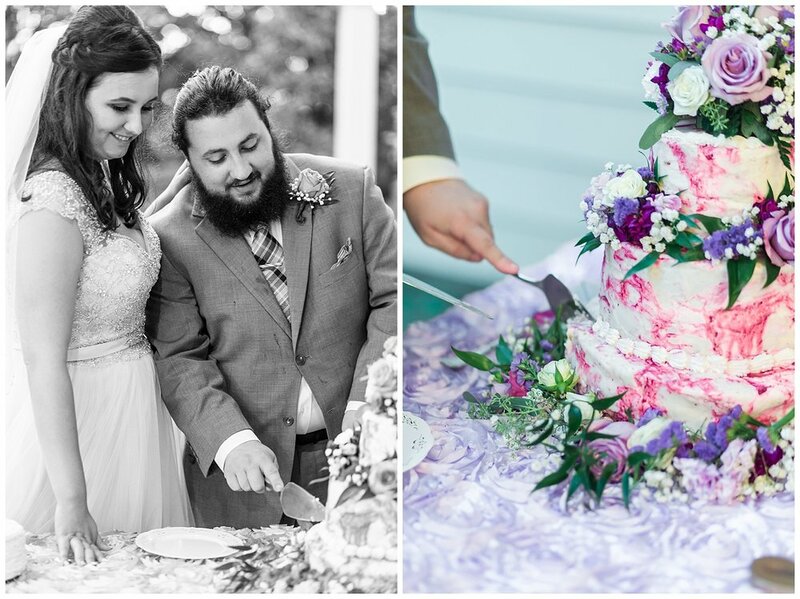 So not only were they able to have their wedding as planned, but they were able to have their ceremony outdoors and enjoyed a gorgeous day. 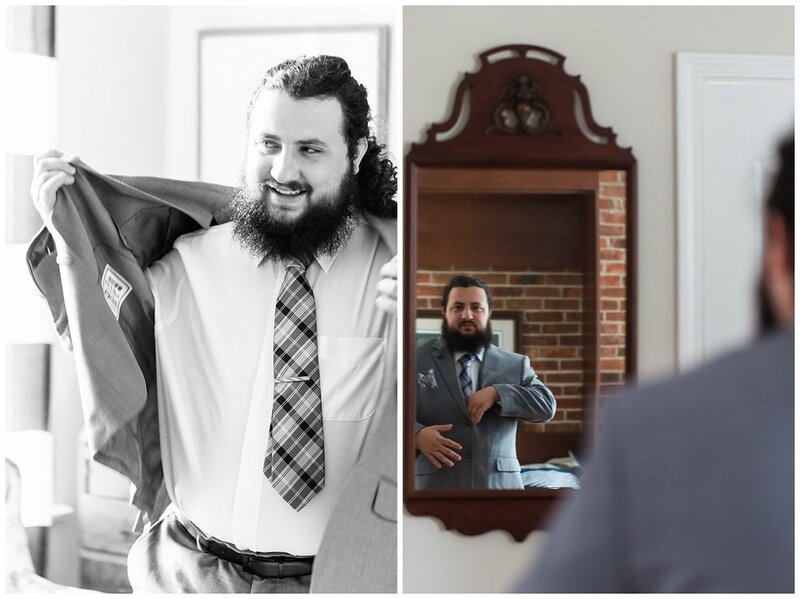 Here are a few of my favorite images from their wedding day!